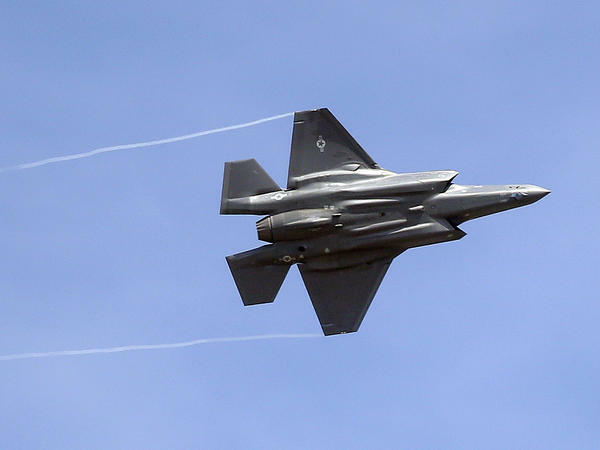 An F-35 jet arrives at its new operational base at Hill Air Force Base, in northern Utah, in 2015. The aircraft have been temporarily grounded for inspections after one crashed in South Carolina last month. After last month's crash of a Marine Corp F-35B variant, in which the pilot safely ejected, a preliminary investigation reportedly revealed the potentially faulty fuel tubes. In the past, President Trump has been a harsh critic of the airplane and its $1 trillion price tag, calling the project "out of control." Besides the U.S., the U.K., Italy, the Netherlands and several other U.S. allies are involved in the program.